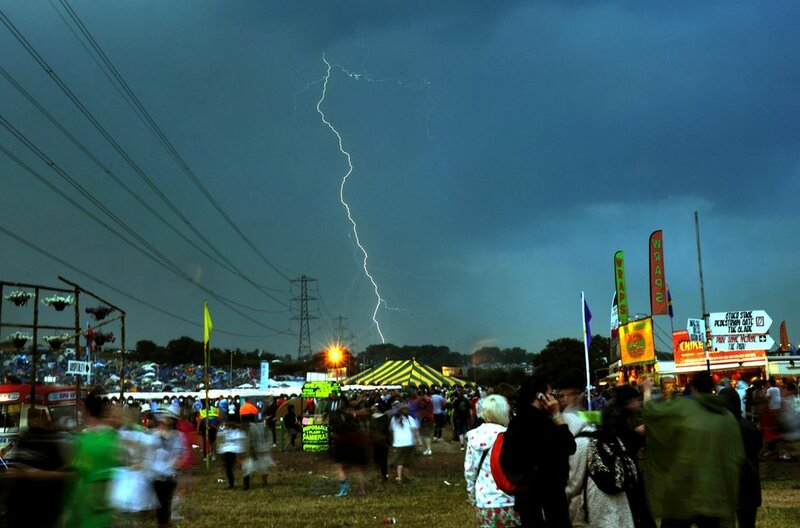 Glastonbury Festival 2009: thunderbolt and lightning! 12. Glastonbury Festival 2009: thunderbolt and lightning! After a hot and pleasant 2008, things looked good for the 2009 festival - until the clouds came in and brought lightning alongside the rain.